‘He was a gifted broadcaster and is therefore a gifted communicator, and that’s an asset for this government,’ says former PMO staffer Scott Reid. 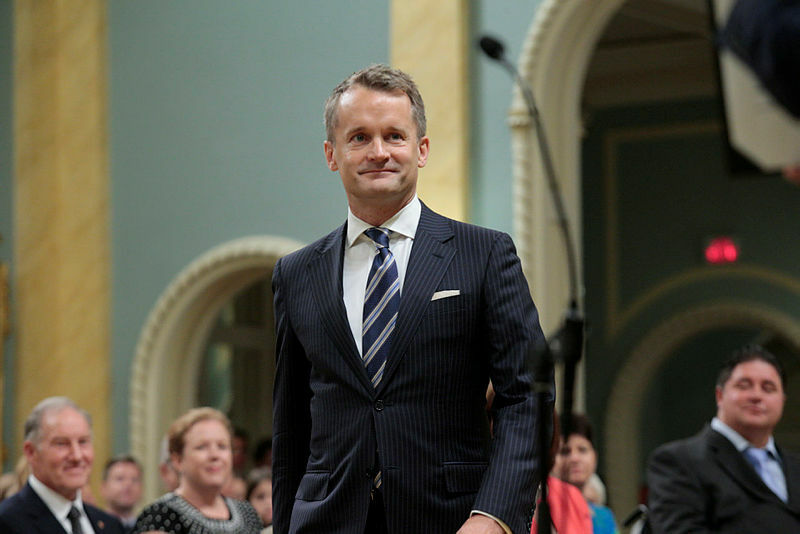 Veterans-rights advocates hope the appointment last week of Liberal MP Seamus O’Regan (St. John’s South-Mount Pearl, N.L.) as Veterans Affairs minister will breathe new life into a department accused of insensitivity toward its clients, and fulfill a Liberal campaign promise of bringing back lifelong disability pensions for veterans hurt in action. “The senior staff at Veterans Affairs is extremely impenetrable with regard to implementing change that involves compassion, sympathy, understanding, and cooperation, but has been quite effective in serving themselves and alienating themselves from their own frontline employees,” said retired Royal Canadian Air Force captain Sean Bruyea, who has spent nearly two decades fighting for the rights of disabled veterans. “Seamus has had a long-standing sympathy for people in uniform during his time with Canada AMwhen issues concerning disabled veterans weren’t making front-page news,” said Mr. Bruyea, who was interviewed a few times by Mr. O’Regan while he was a co-host on the former CTV national morning news program from 2002 to 2011. Mr. O’Regan was unavailable for an interview. 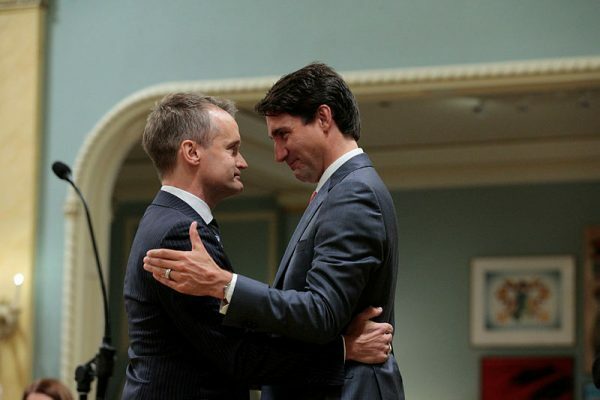 Shortly after he was sworn into cabinet at Rideau Hall on Aug. 28, Mr. O’Regan, who was also named associate minister of National Defence, talked up his military connections with reporters. The St. John’s-born former TV broadcaster grew up next to CFB Goose Bay, and his younger brother Danny is commandant of the Naval Fleet School Pacific in Esquimalt, B.C. “Both through my childhood, and now through him, I’ve got a keen sense of some of the challenges both in the military and for our veterans,” said Mr. O’Regan, who also noted that his great-grand-uncle, Richard Shortall, was a member of the Newfoundland Regiment who died during the First World War Battle of the Somme near the French village of Beaumont Hamel 101 years ago. When asked whether he would work closely with Defence Minister Harjit Sajjan (Vancouver South, B.C.) on helping Canadian Armed Forces members receive veterans’ services once they leave the military, the newly minted minister offered a crisp “yes” in reply. The potential of a close ministerial collaboration is a good sign, according to retired master corporal Paul Franklin, who is actively involved with the Forces’ Soldier On program dedicated to keeping injured current and former members of the military physically active through such events as the upcoming Invictus Games in Toronto. “Harjit has been able to take politics out of the defence budget process, which we haven’t seen for many years,” said Mr. Franklin, who lost both legs in a suicide bombing in Kandahar on Jan. 15, 2006, that killed Canadian diplomat Glyn Berry and seriously injured two other Canadian soldiers. Mr. O’Regan is close friends with Prime Minister Justin Trudeau (Papineau, Que. 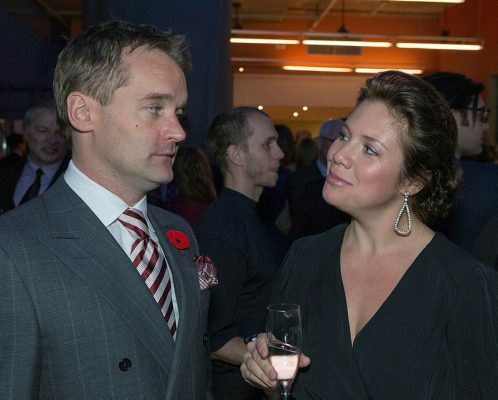 ), and was a groomsman at his 2005 wedding to Sophie Grégoire Trudeau, another former CTV personality. The most significant promise involves pensions. It’s an issue that is “very close to exploding this fall if no moves are made,” said Mr. Bruyea. But it’s also a problem that’s easy to fix, said Mr. Franklin. When he sustained his injuries in Afghanistan in early 2006, Mr. Franklin, now 50 years old, qualified for a lifetime veteran’s disability pension, paid monthly and valued at nearly $2-million over 40 years. But in April 2006, the New Veterans Charter—passed by the Paul Martin Liberal government and enacted by the Stephen Harper Conservative government—changed the benefit payouts to become a lump-sum award worth a maximum of $360,000. Restoring the monthly disability benefits now would not cost the government that much since “so few people are in combat and it wouldn’t affect that many,” said Mr. Franklin, who added that veterans want to receive equal pensions for equal injuries that are not dependent on rank, as is the case under the current system. He hopes Mr. O’Regan will be able to work with the new Conservative Veterans Affairs critic Steven Blaney (Bellechasse-Les Etchemins-Lévis, Que. ), who was once a minister in this portfolio, and push for these changes that the previous Veterans Affairs minister, Kent Hehr (Calgary Centre, Alta. )—who was moved to the Sport and Persons with Disabilities portfolio last week—was unable or “unwilling” to do. “Kent Hehr made many big promises that he didn’t keep and veterans are very, very frustrated,” Mr. Franklin said. Mr. Hehr “clearly had to go,” said Mr. Bruyea. He would like the new Veterans Affairs minister to lift the gag order on veterans, most of whom view public criticism of government as a betrayal of the uniform they wore to defend the country, and to also clean house within the department, starting with the deputy minister. “The first step would be to remove [retired] general Walt Natynczyk, who is a super-affable guy, but he pulls rank when he meets with veterans who are reluctant to argue with a high-ranking general,” said Mr. Bruyea. At a personal level, Mr. O’Regan’s past struggle with alcoholism, for which he sought treatment at a wellness centre in late 2015, might make him more relatable to veterans. “Some people said on Facebook that we shouldn’t have an alcoholic in this position,” said Mr. Franklin. But he also expects that the minister, who holds a master’s degree in philosophy from the United Kingdom’s Cambridge University and served as a senior policy adviser to former Liberal Newfoundland and Labrador premier Brian Tobin, could face some personal challenges, based on optics and prejudice, in his new job. The Christmas-break vacation Mr. O’Regan and his husband, Steve Doussis, spent with the prime minister and his family at the Aga Khan’s private Bahamian island, which prompted an investigation by Ethics Commissioner Mary Dawson, could raise questions about the Veterans Affairs minister’s judgment. Liberal Party president Anne Gainey, who worked for former federal Liberal cabinet minister John McCallum when he held the Veterans Affairs portfolio, was also with the Trudeaus on Bell Island with her husband, Tom Pitfield, a childhood friend of Mr. Trudeau’s. As well, the fact that Mr. O’Regan is gay might also not sit well within the “macho military community,” said Mr. Bruyea. But success in politics is based in large part on effective communication and Mr. O’Regan could be one of the Trudeau government’s best messengers, according to CTV political commentator Scott Reid, who used to appeared regularly with Mr. O’Regan on the network to discuss Canadian and American politics. “He was a gifted broadcaster and is therefore a gifted communicator, and that’s an asset for this government,” said Mr. Reid, who served as Paul Martin’s communications director while he was prime minister. Although Mr. O’Regan now holds one of the more challenging portfolios in the government, he’s poised to become “the most high-profile Veterans Affairs minister we’ve seen in a long time,” said Mr. Reid, who runs the Toronto-based communications firm, Feschuk Reid, with Mr. Martin’s chief speechwriter, Scott Feschuk.